Police say car data show Lommatzsch did not touch the steering wheel for 80 seconds before the crash. 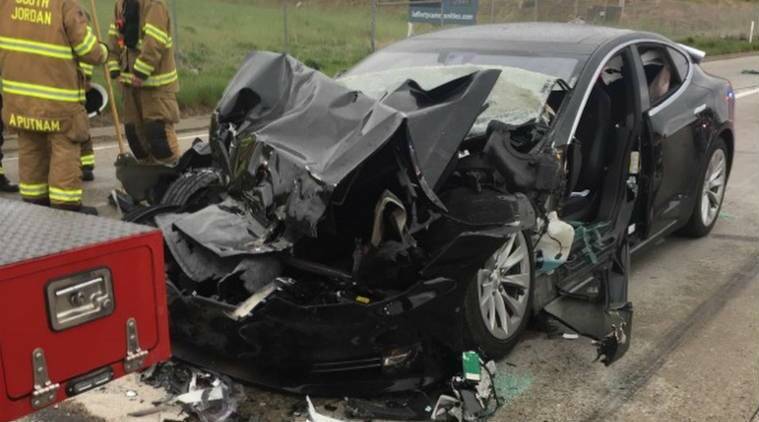 A Tesla that crashed while in Autopilot mode in Utah this month accelerated in the seconds before it smashed into a stopped firetruck, according to a police report obtained by The Associated Press. Two people were injured. Data from the Model S electric vehicle show it picked up speed for 3.5 seconds before crashing into the firetruck in suburban Salt Lake City, the report said. The driver manually hit the brakes a fraction of a second before impact. Police suggested that the car was following another vehicle and dropped its speed to 55 mph (89 kph) to match the leading vehicle. They say the leading vehicle then likely changed lanes and the Tesla automatically sped up to its preset speed of 60 mph (97 kph) without noticing the stopped cars ahead. The police report, which was obtained Thursday through an open records request, provides detail about the vehicle’s actions immediately before the May 11 crash and the driver’s familiarity with its system. The driver of the vehicle, Heather Lommatzsch, 29, told police she thought the vehicle’s automatic emergency braking system would detect traffic and stop before the car hit another vehicle. She said she owned the car for two years and used the semi-autonomous Autopilot feature on all kinds of roadways, including the Utah highway where she crashed, according to the report. Lommatzsch said the car did not provide any audio or visual warnings before the crash. A witness told police she did not see signs the car illuminate its brake lights or swerve to avoid the truck ahead of it. Lommatzsch did not return a voicemail message on Thursday. A Tesla spokeswoman, Keely Sulprizio, did not immediately respond to an emailed request for comment. The car company has said it repeatedly warns drivers to stay alert, keep their hands on the wheel and maintain control of their vehicle at all times while using the Autopilot system. Police say car data show Lommatzsch did not touch the steering wheel for 80 seconds before the crash. She told police she was looking at her phone and comparing different routes to her destination. She broke her foot in the crash and this week was charged with a misdemeanor traffic citation. Online court records do not show an attorney listed for her. The driver of the firetruck told police he had injuries consistent with whiplash but did not go to a hospital. Tesla’s Autopilot system uses cameras, ultrasonic sensors and radar to sense the vehicle’s surrounding environment and perform basic functions automatically. Among those functions is automatic emergency braking, which the company says on its website is designed “to detect objects that the car may impact and applies the brakes accordingly.” Tesla says the system is not designed to avoid a collision and warns drivers not to rely on it entirely. The National Highway Traffic Safety Administration has said it is investigating the May 11 crash. Tesla reached a settlement agreement in a federal lawsuit alleging that it sold Autopilot features that weren’t available and made its vehicles dangerous, according to court records released Thursday by the US District Court in San Jose. Neither Tesla nor Seattle attorney Steve Berman, who represented the plaintiffs, would comment Friday. But Tesla said previously that since rolling out its second generation of Autopilot, it has continued to update software leading to major improvements. The company has said that it agreed to compensate customers who purchased Autopilot and had to wait longer than expected to get all of its features. Tesla’s Autopilot has been the subject of previous scrutiny following other crashes involving the vehicles. In March, a driver was killed when a Model X with Autopilot engaged hit a barrier while traveling at “freeway speed” in California. NHTSA and the National Transportation Safety Board are investigating that case. This week, Tesla said Autopilot was not engaged when a Model S veered off a road and plunged into a pond outside San Francisco, killing the driver. 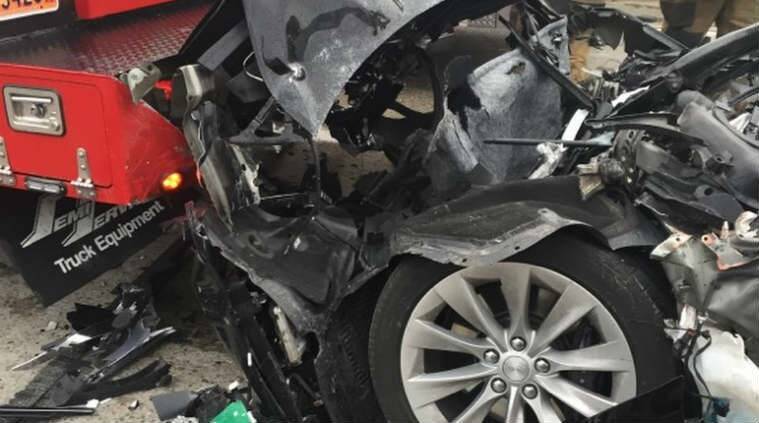 Earlier in May, the NTSB opened a probe into an accident in which a Model S caught fire after crashing into a wall at a high speed in Florida. Two 18-year-olds were trapped and died in the blaze. The agency has said it does not expect Autopilot to be a focus in that investigation.